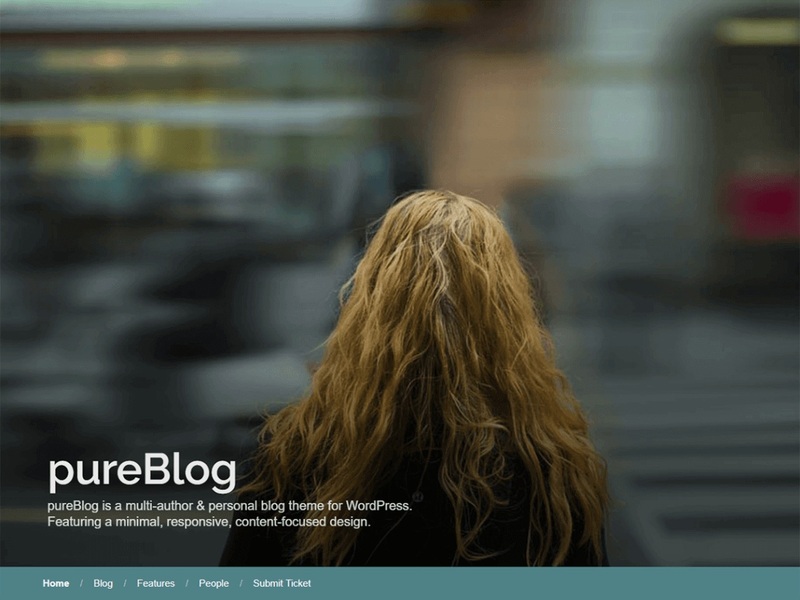 PureBlog is simple, yet modern and stylish for personal blogging. We made a theme with features from the ever popular WordPress theme called Twenty Seventeen, but with a lot more features to give your readers an immersive browsing experience. The theme is a polished and beautifully balanced concept that makes it perfect for almost any type of blog. PureBlog comes with an array of features that let you choose your blog styled layouts, show or hide various page elements, choose excerpts for blog summaries, adjust your banner height, color options, and a whole lot more! Be sure to read more about the theme under the Appearance admin menu.